Can you get fined for being too good-looking? Well, no, but in this airport staff's case, netizens claimed he had his salary deducted for his good looks. 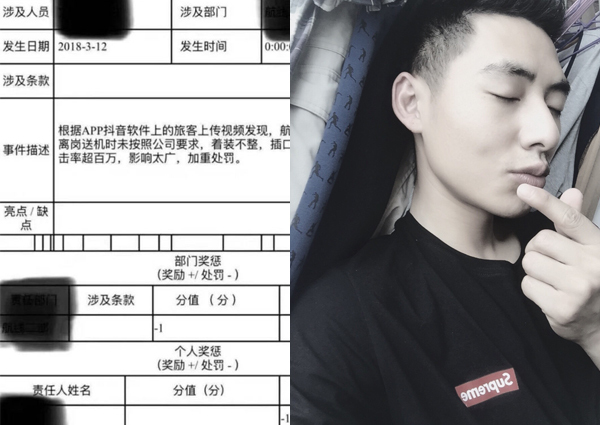 The 25-year-old technician found newfound fame after a video of him walking on Xiamen's airport tarmac taken by a passenger went viral. Many claimed he looked like Song Joong Ki in Descendants of the Sun, and we must admit that the resemblance was uncanny. However, after the video had more than 1 million views, he reportedly had 10 per cent of his salary deducted for breaking the company's code of conduct - his employers claimed his appearance was not ideal, since he had his shirt half-tucked and was walking around with a hand in his pocket. He was given the penalty because the video had been widely shared and viewed by a lot of people. According to China News Service, the company notice wrote, "Taking into consideration the influential impact this video has made, the aggravated penalty must be applied." Some people claimed his bosses were jealous of his fame, but the technician is not taking it to heart. The news site reported him uploading a post on his Weibo page, which currently has more than 50,000 followers, saying, "Honestly, I still feel quite happy because it is not easy to become so famous that quickly. "My company did nothing wrong, it was my fault for not keeping with the correct standards in terms of dress code and behaviour. Please don't bombard the passenger who uploaded the video online. I never blamed her, because she didn't mean to cause me any harm."